We are so happy that Heritage reached more than 4000 downloads! Words can't describe how greatfull we are. Thanks, many thanks for your support. Finally we finished translating Heritage to spanish. We have fixed all bugs, this is the final english version. Thank you all for your support! It means a lot to us. Here is a list with some bugs discovered by users but a problem arose. 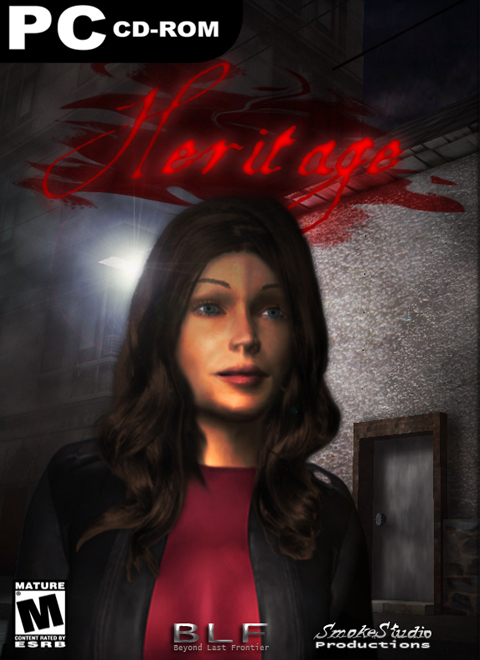 Heritage will be available for download 4/1/2012. Get ready to discover the darkest secrets of yourself. Finalmente la versión en español, con notas y puzzles traducidos. ok im lost the answer to the basement door makes no sense. not even the same shape.....???? been fiddling with this puzzle for a bit.help! "Failed to load mono dll"
Great game. It scared the **** out of me. I have a question: Why is it that freeware 3D games almost never offer an option to invert the mouse Y axis? Since the day I played my very first FPS (First Person Shooter) game, I have *NEVER* been able to deal with the push forward to look up control style. It's not only unintuitive and awkward, it makes games like this virtually unplayable for me. It's like trying to write with your 'wrong' hand. I've searched the net for some way to invert the mouse functions, but nothing works. I even found a joke program that will do it, and it works fine for the pointer, but as soon as the game starts, it's back to being non-inverted. We are really glad you liked the game, many thanks for your review. I loved the ingame commentary explaning further dimensions and space time stretching within black holes.